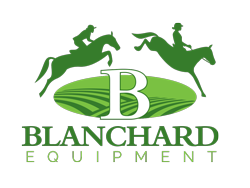 The quest to maintain its reputation as a preeminent year-round international equestrian centre has led Stable View to the United Kingdom, and a partnership with technology and ground management specialists, TurfTrax. TurfTrax has been pioneering ground management systems for almost 20 years and has developed a suite of products designed specifically to map, monitor and measure the key elements that affect equine performance and guide water and grass maintenance programmes and strategies. TurfTrax Managing Director, Mike Maher said, “We are delighted that Stable View has chosen to work with TurfTrax and use our systems and products to help build a more comprehensive picture of the competition and training surfaces, the soil structures they comprise and the variance over extent of the 160-acre cross country site. 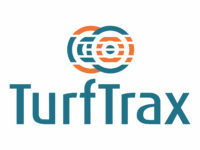 Working closely with some of the UK’s leading soil scientists and in collaboration with Centre for Sports Surface Research at Cranfield University, TurfTrax developed the GoingStick in response to the British horseracing industry’s search for more scientific methods of monitoring and measuring Going and weather conditions on UK Racecourses. The GoingStick the has since been formally adopted by the UK regulator, The British Horseracing Authority, and is also in common use at major international racecourses in, for example, the United States, Australia, Hong Kong, Singapore and Dubai. It objectively and scientifically measures penetration and shear, the two forces exerted by a horse’s hoof when it comes into contact with the racing surface. These two measures taken in combination represent a scientifically based proxy for the firmness of the ground and level of traction experienced by a horse in training or in competition. The information is automatically stored in the GoingStick memory and an average of all readings can be provided instantly. The GoingStick is designed to work alongside the TurfTrax Mapping System and the Weather System, and each is supported by a software platform specifically designed to interpret the data it gathers and present it in a clear concise format with multiple applications. The TurfTrax Weather System provides an easily accessible and accurate log of both historical and real time climate conditions enabling better informed turf management decisions. Better informed decisions will eventually result in improvements to the arena or course. Central to the TurfTrax Weather System is a weather station which records and relays accurate data to create a precise and unique audit trail of climate conditions for the specific location on which it is sited. Its sensors measure wind direction, wind speed and gust strength, solar energy, air temperature and humidity, ground temperature and soil temperature. 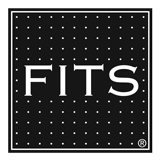 Precipitation is measured to an accuracy of 0.2mm. The Stable View team will also be able to accurately monitor soil moisture levels in real time through a sensor buried in the turf, and moisture loss using the Evapotranspiration calculation. Both will be key elements in helping to manage water resources at the South Carolina venue. The weather station is solar powered and, therefore, requires no external power source. Data is collected automatically at pre-determined intervals and relayed via the 3G network, although the weather station can be hard-wired if necessary. Scientific analysis of ground and weather conditions to an extent that is uncommon in this field, will ensure that that Stable View is able to apply effective and environmentally sound practices to achieve the best possible year-round surfaces and make an unprecedented level of data available to its management, riders and other interested parties.